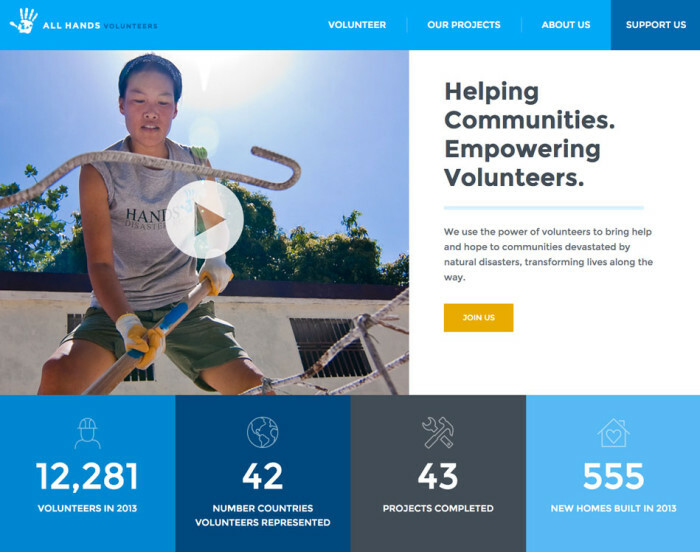 All Hands Volunteers is a non-profit organization that helps out communities immediately after a disaster strikes and also long-term after the disaster. I did the front end on this responsive WordPress website. This was one of my first sites where I worked with the Google Maps API and the All Hands map was a little more complicated than some. I learned quite a bit about using google maps from the project and using custom info boxes for map markers.